Vote for British GQ's "Most Stylish Man 2012" here, you know what to do (it's next year: so it's ME, lol). 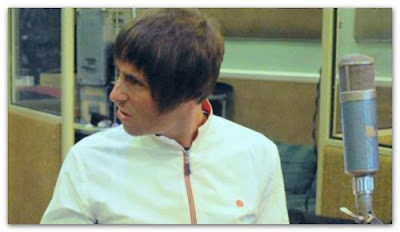 Of course Liam Gallagher. I wonder why there's no Noel Gallagher, the one singing in falsetto... ah, he's on Grazia magazine... they say it's a bit gay, isn't it. Don't get me wrong: nothing wrong in that, lol. Sometimes I noticed he moves a bit like a homosexual. It's because, just like his fans, they're delicate... the easy-crying type (in fact, he found so many excuses for the Oasis split, the victim). When they hear that "moving", poignant music, they feel "touched" and find consolation in it. I just prefer rock'n'roll. Talking about gays, yesterday I was talking to a model (engaged to a boy model, you know they're quite "feminine") and I convinced her to leave him... and she really did! Oh Jesus, I was half-joking, and I said they're gays not so seriously. It's just another confirmation that models are retards. Nothing new. Liam is not a model and he's much more cool and stylish than them, he's a real man.